March 3rd was Hinamatsuri, Girl’s day festival. Families celebrate by creating displays of special dolls which represent the emperor’s family, and hanging sagemono – decorative strings of knitted balls. The town next to us is especially famous for it’s decorations. 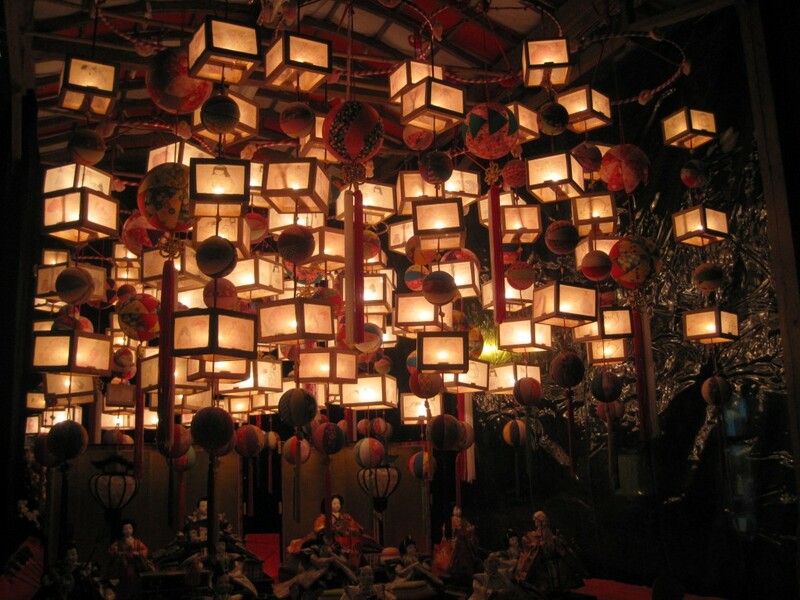 Here are some sweet hanging lanterns and sagemono!